You are trapped in a zombie-infested city. You need to get to the harbour and board the last ship out of town. Days 2 Die is a side-scrolling action bloodfest. 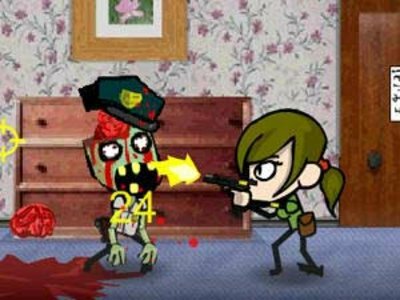 Chop, smash, blast or incinerate zombies into bits using a variety of weapons. Play the game here.